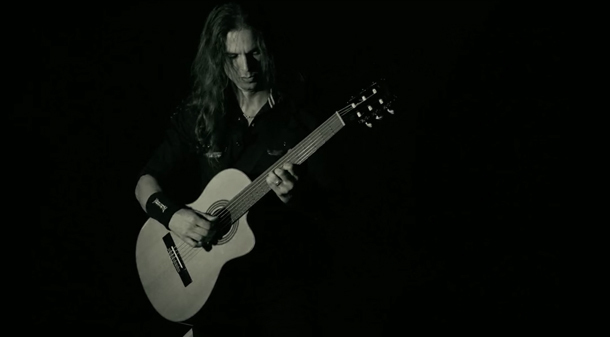 The tune features guitar work by leader Dave Mustaine and new addition Kiko Loureiro, formerly of Brazilian band Angra, who replaced outgoing member Chris Broderick after he left the group in 2014. “I first met Kiko around 8 years ago for a cover shoot for Burrn! Magazine,” explains Mustaine. “I had no idea who he was, other than the fact he was tremendously talented and that the staff from Burrn! held him in high regard. Since then I've come to see what a guitar virtuoso he is, and I'm deeply encouraged by his depth and talent. Megadeth recently confirmed the addition of Dirk Verbeuren, formerly of Swedish metal band Soilwork, as the group’s new drummer after Lamb Of God’s Chris Adler recorded “Dystopia” and performed early dates on the current world tour. Last week, Megadeth launched a fall US tour with guests Amon Amarth, Suicidal Tendencies, Metal Church and Havok.